Unlimited domestic and international texting. 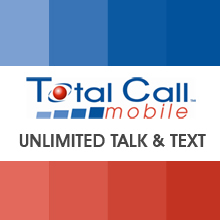 Dial #826 + SEND from your Total Call Mobile phone or dial 800-636-5130 from any landline. Follow the prompts to add airtime. - For technical assistance, please call 1-800-550-5265 .